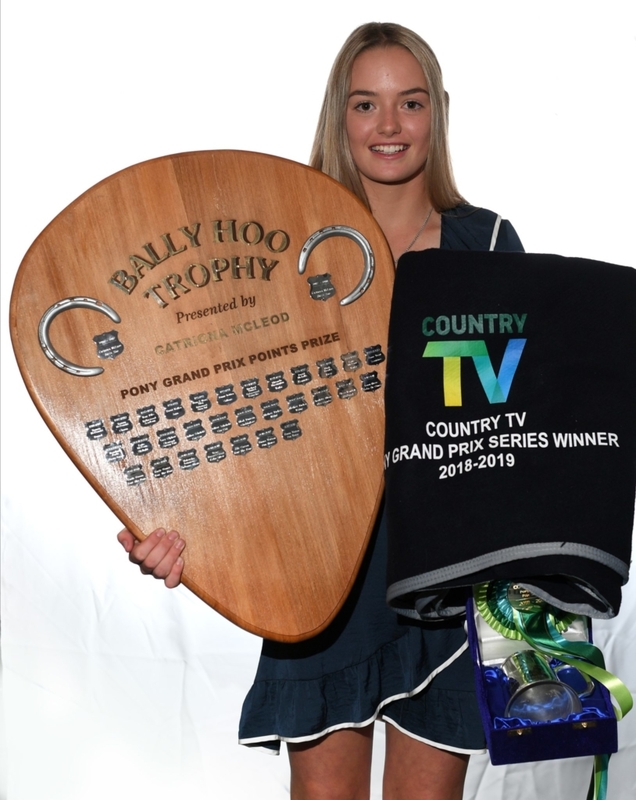 It’s fitting Emma Watson and the very special Maddox Fun House claimed their hattrick of Country TV Pony Grand Prix Series crowns this season. The much-admired and very popular pink pony who the Morrinsville teen has done so well on has now been sold but they’ve gone out in the best way possible. Emma and Pink, as the mare is known at home, are the only combination to have won the Bally Hoo Shield three consecutive times. Tony the Pony is the only other one who can also lay claim to three titles, having won it in 2012-2013 and 2011-2012 with Emily Fraser and again in 2015-2016 with Ally Carson. 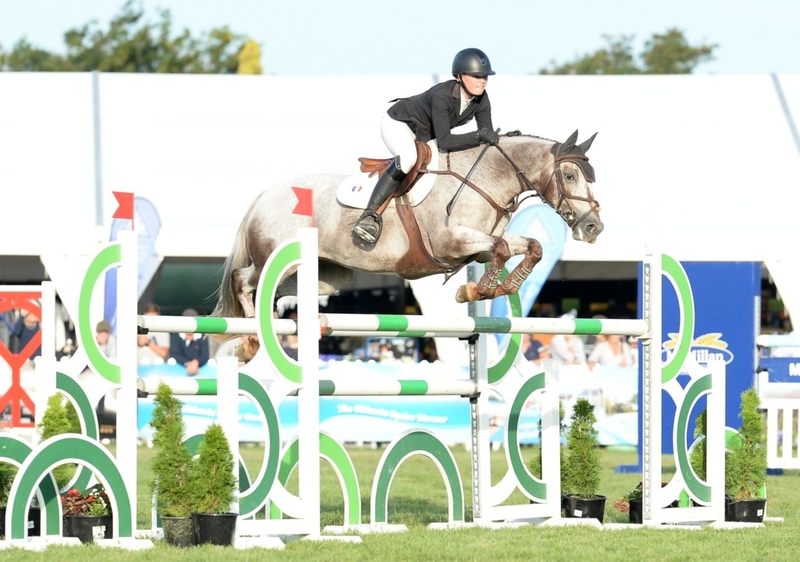 Together Emma and Pink have had a brilliant run in the four years they’ve been together, having twice won Emma the right to represent New Zealand at two FEI Children’s International Classic Finals among other major successes. From early in her career, Pink showed she would be one to watch. 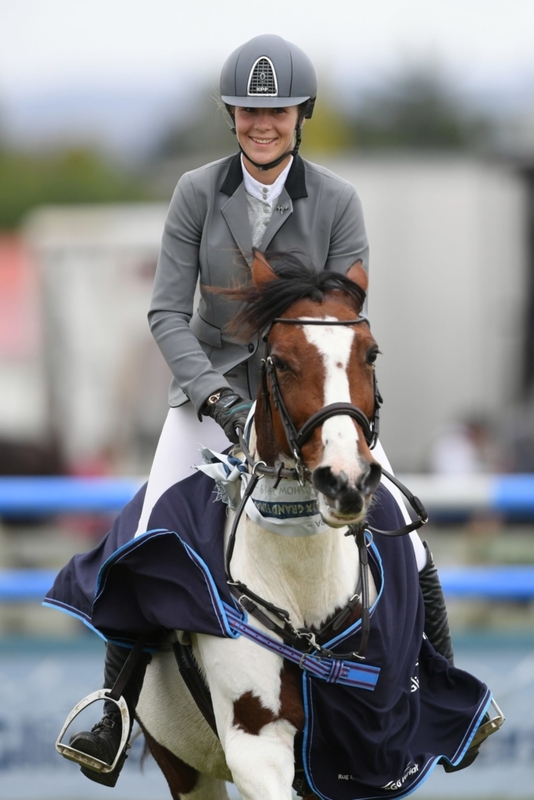 With her previous rider Matt Irvine, when just an eight-year-old, she won the prestigious Pony of the Year crown at the Horse of the Year show in just her first season at that level. But Emma and Pink’s 2018-2019 season didn’t get off to the best of starts. “It was a bit messy because I missed the start of the season when I broke my elbow playing netball,” says Emma. That side-lined her for six weeks, with Pink turned out while she recuperated. Then at the Taupo Christmas Classic it was Pink’s turn to pick up an injury after over-reaching, putting her out for four weeks. And just before the Series Finals Show, Emma broke her toe playing soccer at school. Added to that was having the pony on the market, which Emma says certainly had an impact on how and where they competed. Emma, who also schools and competes on horses for other people, will now move fully to horses next season. Her top horse Maddox Kiwi Silverkee has been out since Christmas after Pink gave him a kick in the paddock, but she has had fantastic luck and fun with catch rides Letino and All About Fun, thanks to Stephen Nickalls and the Croucher family. Emma is trained by her mum Melissa as well as Jeff McVean. The Watson family live on a lifestyle block in Morrinsville where there are plenty of polo ponies as well as jumpers. Emma’s dad Bruce and her brother Kaleb both play polo and generally head in the opposite direction to Emma and her mum Melissa each weekend. Pink now has a new home with Lily Moore in Hawke’s Bay and the Watson family couldn’t be happier. “She is going to the best home – I am so happy,” says Emma. 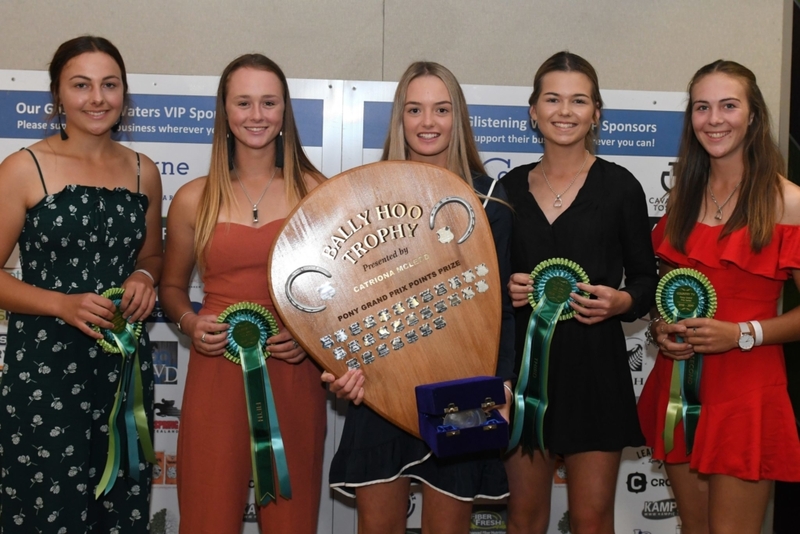 In the grand final, series runner-up Tyla Hackett (Waiuku) and The Dreamer took the honours picking up four faults over the two rounds. They were the only one of the 14 starters to go clear in the opening round, with Samantha Carrington (Takapau) and Colours of Lansing the only ones to do so in the second.